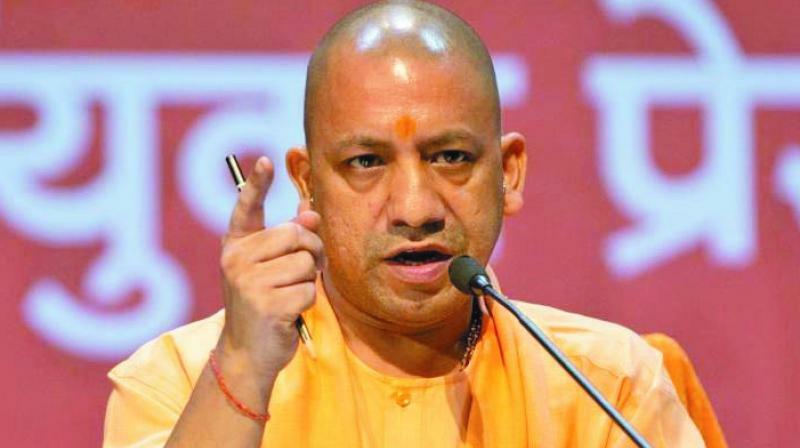 Gorakhpur (UP): Uttar Pradesh Chief Minister Yogi Adityanath Tuesday termed the Congress’ minimum income scheme a poll “gimmick” and accused it of obstructing the construction of a Ram temple in Ayodhya along with the SP and BSP. “Earlier too the Congress party had given the slogan of ‘garibi hatao’. The announcement of a minimum (annual) wage of Rs 72,000 (too) is nothing but a gimmick,” said Adityanath, addressing a “Vijay Sankalp Rally” here. “There is a family which starts remembering Lord Ram when elections draw closer but sit in temples in the posture of offering namaz,” the chief minister said, apparently referring to an incident involving a gandhi family member. “These people visit places to show disrespect to great men. They offer garlands worn by them to the statue of Lal Bahadur Shastri,” he added, without taking names. “While the Congress serves biryani to terrorists, the BJP feed them bombs,” he added.